Here we are, SoTW 99, and we’ve avoided until now dedicating a post to our very favorite artist of recent years. So before we add a digit, let’s correct that historic injustice. Ms Luciana Souza, this one’s for you. I only hope that I manage to do credit to the most courageous and wondrous music I’ve heard in the past ten years. In the mere 12 years she’s been recording – 8 CDs under her name released in North America since 1999, in addition to dozens of prestigious guest spots – she’s worked in four distinct idioms. Chronologically: two CDs of vocal jazz (“An Answer to Your Silence”, “The Poems of Elizabeth Bishop”); two of Brazilian songs accompanied by a single acoustic guitar (“Duos I & II”); one of musical poetry (“Neruda”); and three of more commercial ventures, American bossa nova (“North and South”, “The New Bossa Nova”, and “Tide”). I have WAY too much respect for her to try to exhaust all I have to say about this prodigiously talented woman (b. 1966) in a single post. I was sorely tempted to start at the end and work backwards, because her three commercial CDs are so much more accessible. They include material you know, guests and collaborators of the first rank (she’s courted by luminaries such as Herbie Hancock, Sting, James Taylor and Paul Simon). But I decided to confine myself today to her first two CDs – the most obscure ones, perhaps the most difficult, and in my not-so-humble opinion, the best ones. Two CDs of singular, outstanding, innovative, beautiful genius – groundbreaking, underappreciated, and regretfully unknown. I promise to treat the easier ones down the road. Sorry folks, but as interested as I am in turning you on to great new music, you’re going to have to slog through with me what might appear somewhat rarefied and obscure here. You can either trust me or not – but I’m telling you that “An Answer to Your Silence” is the most interesting CD I’ve heard in the last decade. If you don’t have the energy, I’ll understand. Really, I will. No hard feelings! I get that not everyone has the needs that I do to go hacking through impregnable jazz jungles or crawling across atonal minimalist deserts or getting lost in endless Nordic a cappella virgin forests. 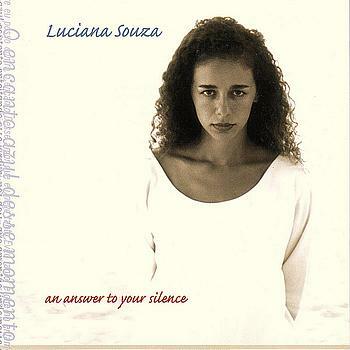 But I’m just a bit compulsive when it comes to my music, and Luciana Souza’s first two CDs are quintessentially my music. Luciana Souza hails from São Paulo, daughter of bossa nova founders Walter Santos and Tereza Souza, god-child of living legend Hermeto Pascoal, SoTW 068, (with whom she toured for years–oh, what I would have given to have witnessed that!) She began singing radio jingles at 3, by sixteen she was an in-demand studio singer. She moved to the US, where she has been based ever since, studying and teaching at Berklee, the New England Conservatory and the Manhattan School of Music. Critics have been more appreciative of her than the public at large, although she’s making a living, as they say. But I’m of course going to drag us back to the time when she was hungry, and making music that arises from ambition, desire, hunger, those wonderful motivators. Vocalist: using the above elements, but with a degree of mastery and control of the material that he/she transcends it to make a personal artistic statement; early Barbra Streisand (see SoTW 009), Billie Holiday. Vocal artist: an artist who uses his/her voice as an instrument, free of the fetters of ‘songs’ or genre, or clearly using them as vehicles for a personal statement. Kurt Elling. Bobby McFerrin. Jazz vocalist: one who works in a jazz context, often outside the framework of songs, relying heavily on improvisation in open, challenging structures beyond the standard 32-bar format; I can’t think of a single such artist from the 20th century, but it does two young ladies, Esperanza Spalding, and Luciana Souza. My examples have changed a bit since I wrote that (Kurt Elling’s singularity has focused on the individuality of his repertoire choices and interpretations, but he seems to be confining himself more to ‘songs’.) But I think it’s still a valid set of categories, especially to show just how unique Luciana Souza is. The pieces comprising “An Answer to Your Silence” are almost all original compositions. They’re all completely personal interpretations. 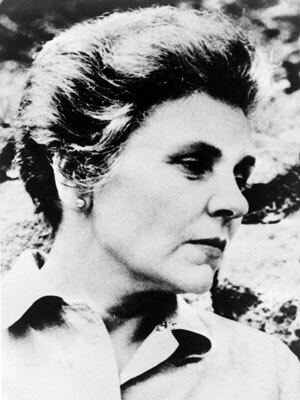 In “Elizabeth Bishop”, she takes a number of poems by the quirky and thorny lesbian Modernist American poetess (1911-1979), sets them to her own music, and juxtaposes them with her own compositions of the same ilk. In both CDs, she employs a very hot jazz quintet—a rhythm section of acoustic bass, drums, piano; and two lead voices, an alto sax and – whoops! – a human voice!! Wasn’t that supposed to be a trumpet? That’s our standard jazz combo, isn’t it? Well, yes it is. 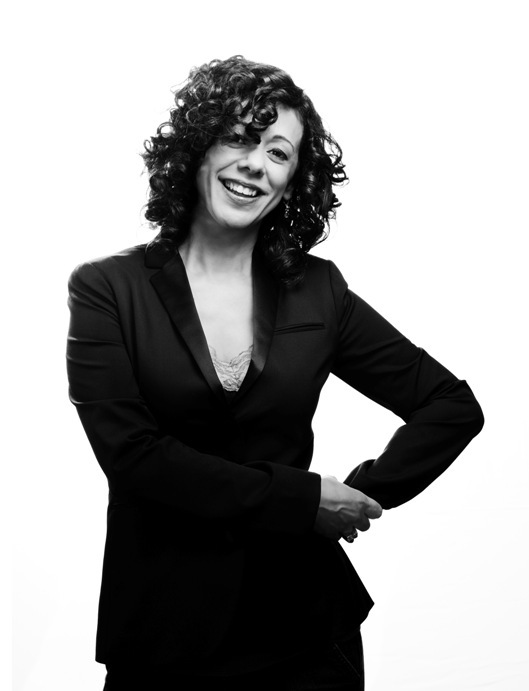 But here, Ms Souza is the composer and bandleader, and a member of the group. It’s not a quartet backing her, as has been the practice in every single vocal jazz album since the genre was invented in the 1930s. It’s not about embellishing standards (see ‘Jazz Singer’ and ‘Vocalist’ above). It’s about using the voice as an integral instrument in a jazz context. The example we’re bringing you is “Baião à Tempo”, an original. The melody winds and loops and envelops you. First it’s her, then it’s her and the saxophone in unison, then in harmony, then it’s the piano. The tempo? For all I know, it’s 17/3.5. It’s Brazilian, it’s jazz, it shifts and smiles with inscrutable insouciance and subtlety and panache. But it sure is uplifting. From her website: “Luciana Souza’s singing has been called ‘transcendental’, ‘perfect’, and of ‘unparalleled beauty’.” Yup. I buy that. 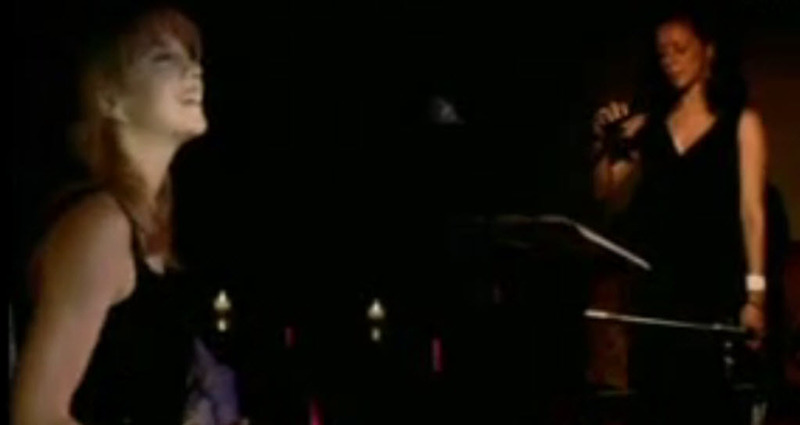 In the end, it’s all her music, but she spends less time singing than in directing a bossa nova baião jazz gestalt. It’s complex, it’s virtuosic, it’s a completely original conception. It’s wonderful, wonderful, wonderful music. “Baião à Tempo” is quite typical of all the music on “An Answer to Your Silence” and “Elizabeth Bishop”. Strong but challenging melodic lines, all the instruments sharing the spotlight (lots of great bass solos, excellent drumming, fine, strong piano and sax). A never-ending wonderland of twists and turns, all genuine, nothing done for show, all integral, honest, each partcontributing to a musical whole. I can’t recommend more strongly purchasing these two albums and immersing yourself in them as I’ve been doing for several years. One more point I’d like to add here. I’d like to group with the “jazz vocal” style in these two CDs one of her many notable collaborations, as singer in the Maria Schneider Orchestra. I’ve sung the praises of compositrice/bandleader Maria Schneider (SoTW 081). One crucial ingredient in some of her most beautiful music is the voice of Luciana Souza, who is featured on her albums “Concert in the Garden” and “Sky Blue”. Ms Schneider’s orchestra is composed almost solely of brass and woodwinds, with a lot of accordion and guitar. So in format, it’s almost a big band. But the sound palette, as we’ve discussed, is all Gil Evans – weightless, cerulean, as light as a perfect cloud in a perfect summer sky. 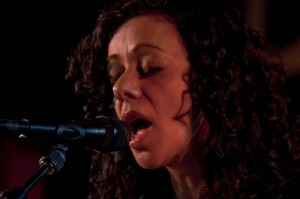 Ms Schneider often employs Ms Souza’s vocals as a featured instrument in her aural pastiche. And what a choice of genius that is! Check out these live performances of pieces from the album “Concert in the Garden”: Choro Dancado, Boleria, Solea y Rumba; or Journey Home from “Allégresse”. Or my favorite, ‘The Pretty Road‘ from “Sky Blue”. Divine music, created by a beautiful woman, her celestial symphony graced with “the only instrument made by God” – the human voice. Here, one of the most beautiful of human voices I’ve had the fortune to encounter, Luciana Souza. SoTW is a non-commercial, non-profit venture, intended solely to promote the appreciation of good music. Readers are strongly encouraged to purchase the music discussed here at sites such as iTunes or Amazon. Likewise, the photographs used are intended for non-commercial purposes only. it is very good. but the most interesting CD you’ve listened to in the last decade? @Naphtali. Ok, maybe a bit of hyperbole. I did say ‘most interesting’, not necessarily ‘best’. I really do think this is a unique, groundbreaking direction for music I care about deeply. She sings the way I admire most, effortlessly and at one with the music. Thank you for bringing her back for an encore Song of the Week!